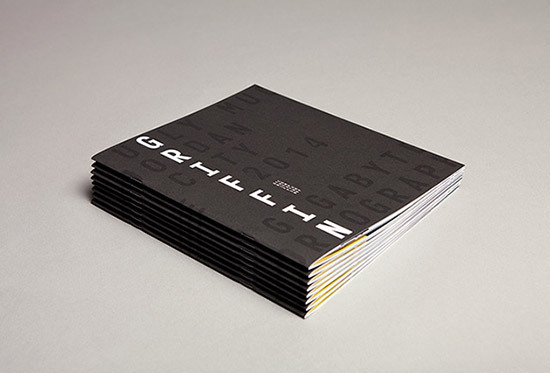 Sydney holds a special place in its heart for Griffin Theatre Company. 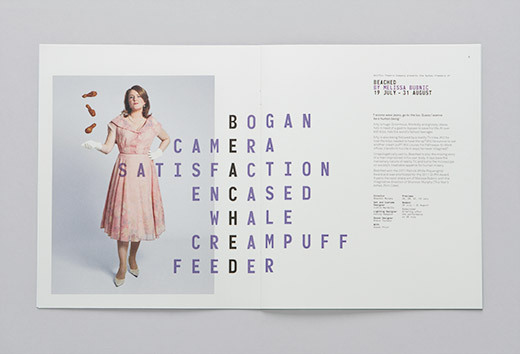 For thirty years it has been home to some of Australia’s most thrilling theatre, launching the careers of many writers, directors and performers including movie star, Cate Blanchett. 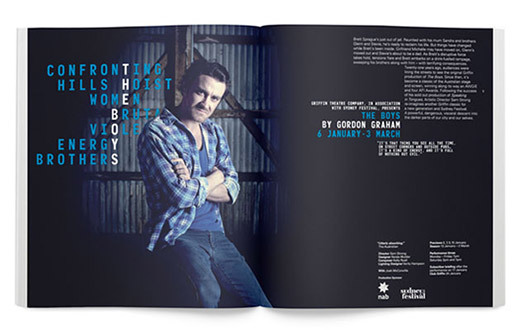 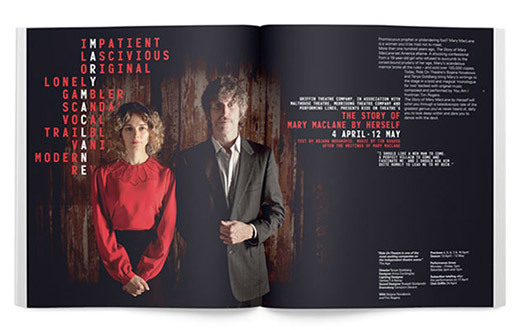 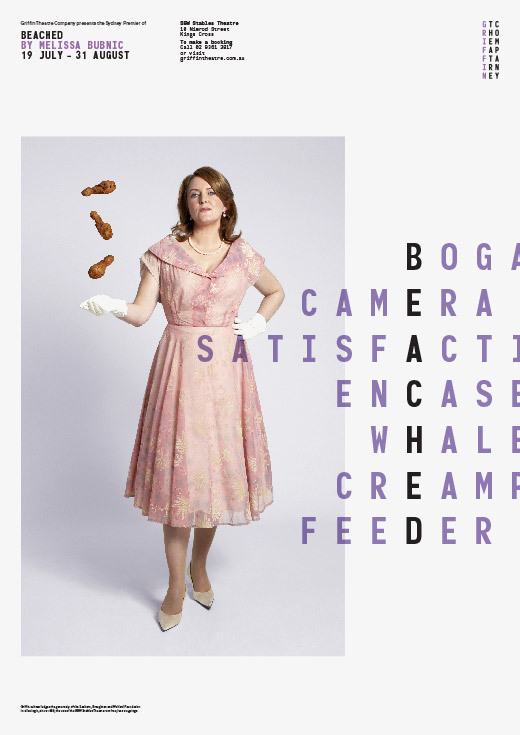 It’s focus on purely Australian writing, acting and directing has made it an essential piece of theatre history in Australia. 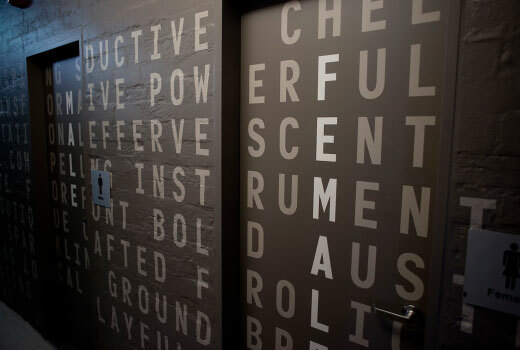 We wanted to give this theatre, with writing at its heart, an identity that allowed it to express its own creativity and personality with words. 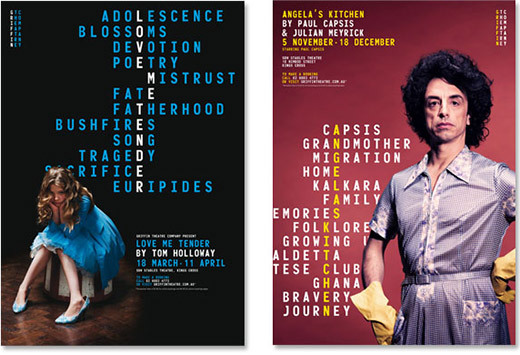 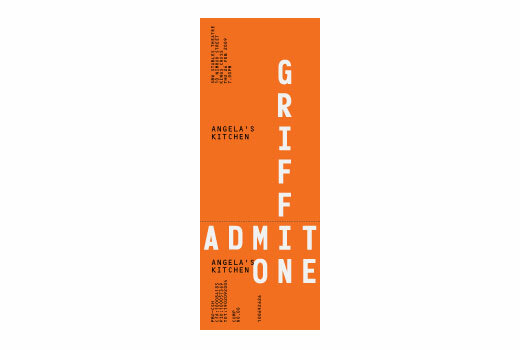 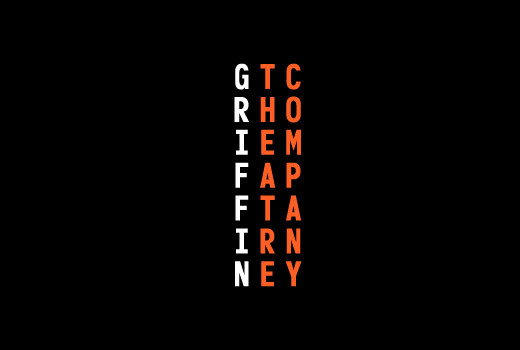 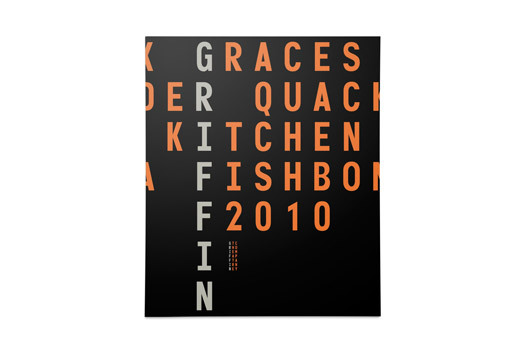 The mood of any poster or spread can change to something completely different by using different words, colour and imagery, whilst still being unmistakably Griffin. 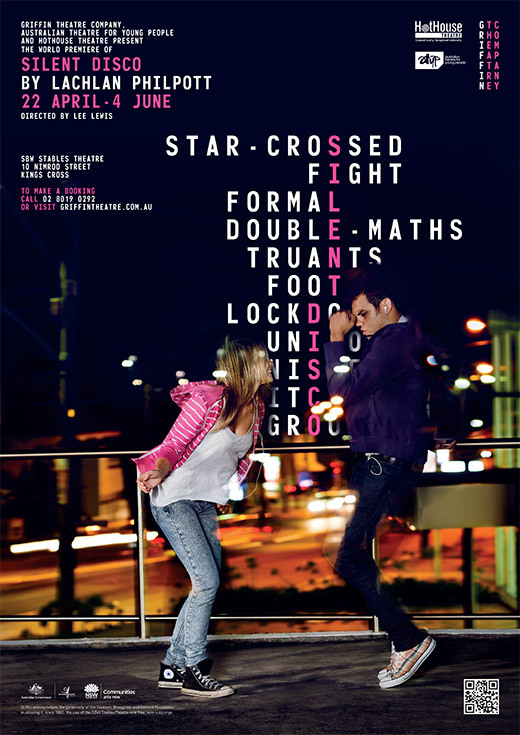 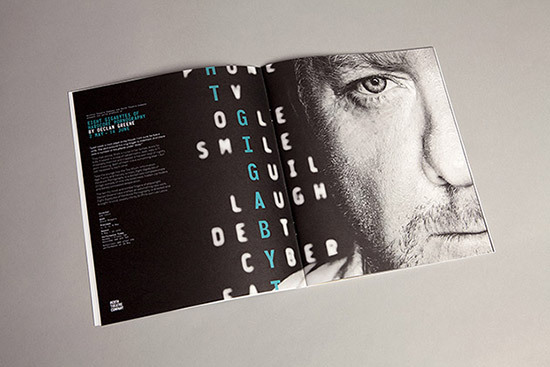 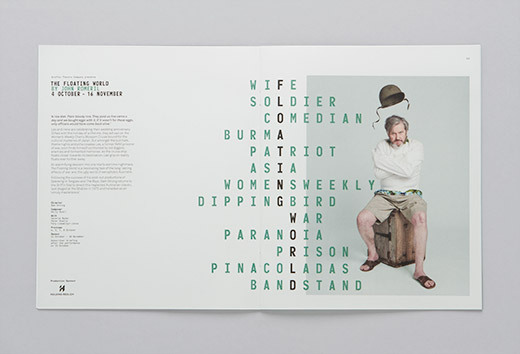 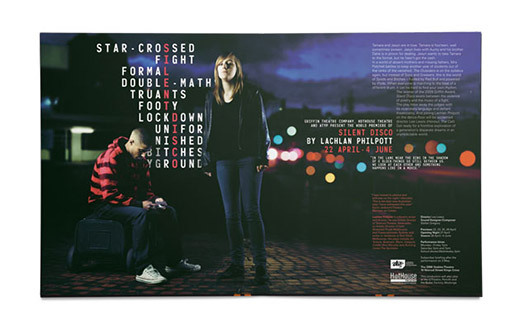 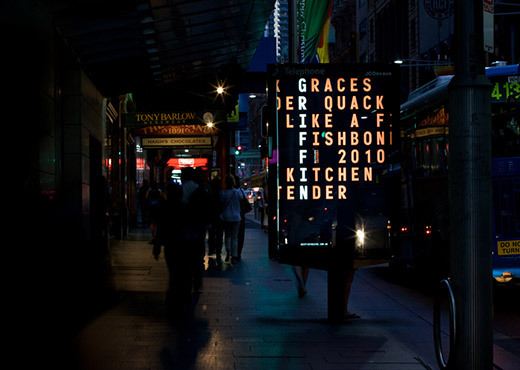 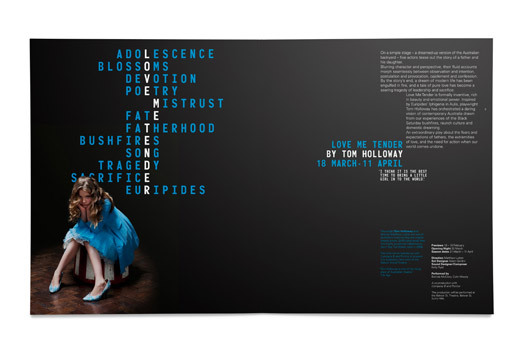 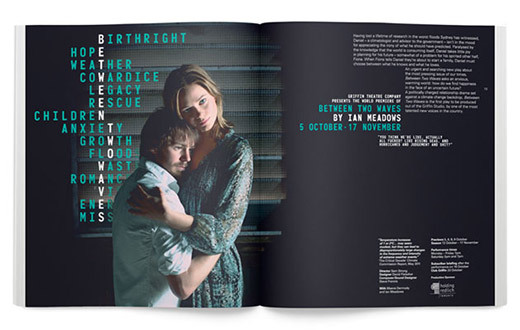 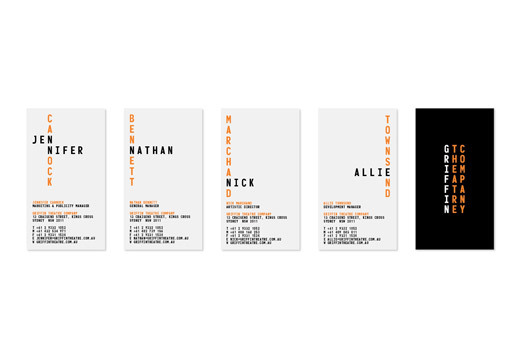 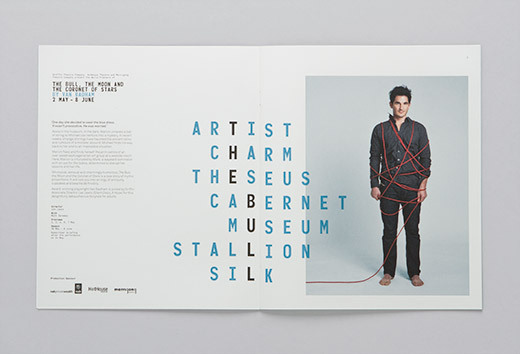 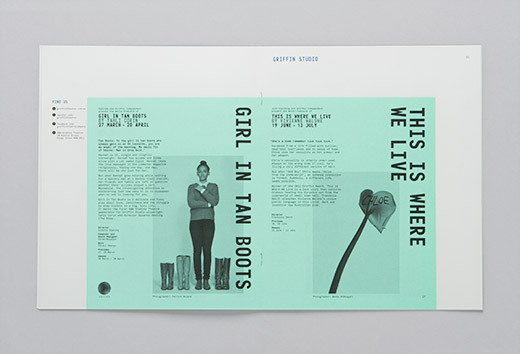 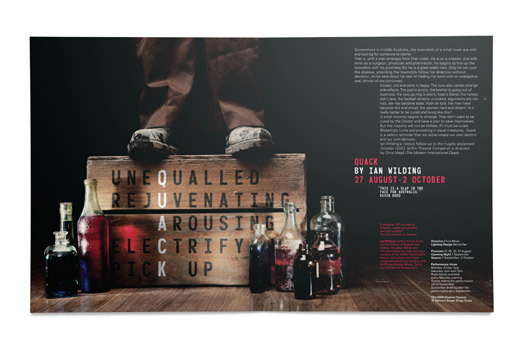 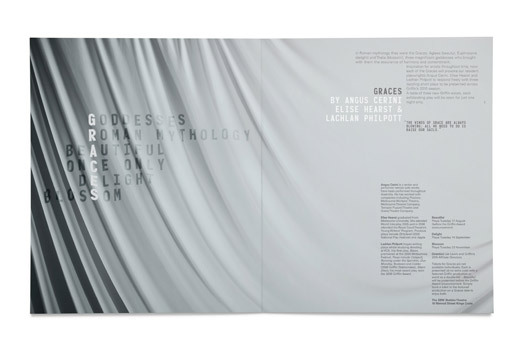 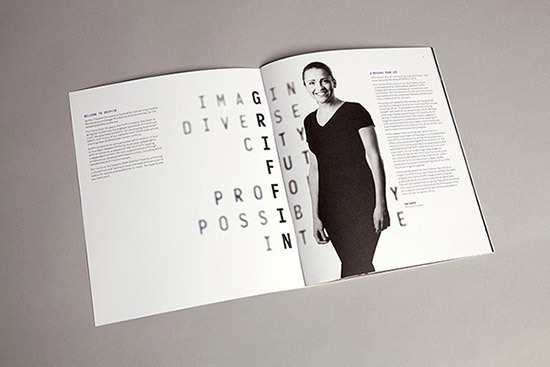 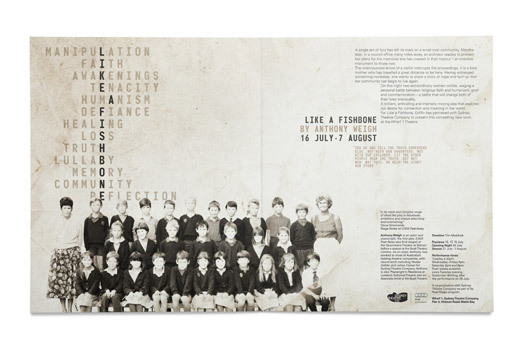 The identity places a large emphasis on typography and wordplay; often relying solely upon typography for page layout.